Since my mom’s move to Virginia with her husband, I’ve been wanted to get down there the visit, and see the Richmond my mom experiences. During our recent trip out east, 4th of July weekend feel like the first time to explore our new Southern headquarters. We arrive the day before the holiday, and started the celebration with a good old Southern BBQ. My step-father got in the grill, my step-sister and her family came over, and we had a great get together/family reunion. 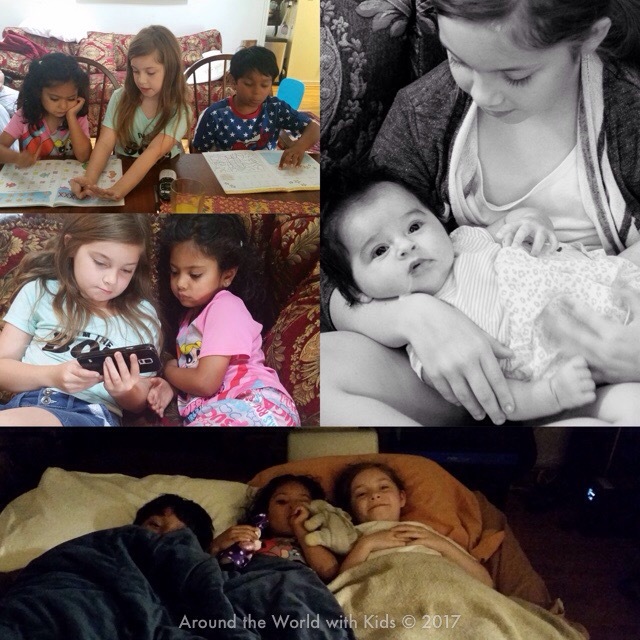 The 3 oldest kiddos hit it off so well, they didn’t want the day to end, so they had a sleep-over to continue the fun into the next day. July 4th, we ended up spending the morning and afternoon having a low key day at home. 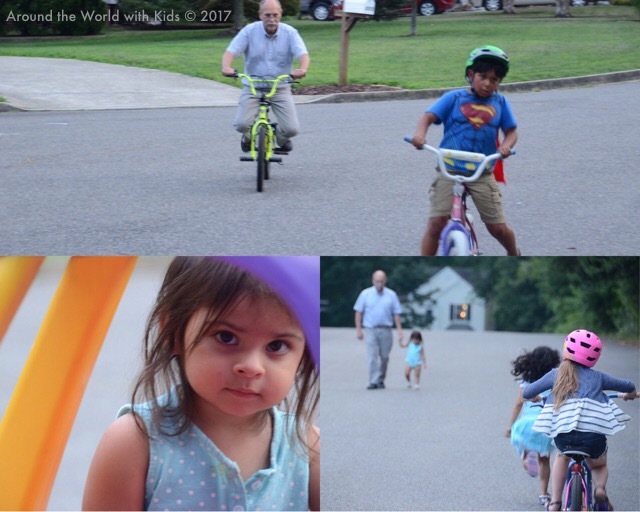 The kids got to enjoy a traditional summer day (like I had as a kid). They laid around in their PJs, played fort outside, and ran around on the quiet street. My step-father had gotten my son a bicycle, and taught him how to ride with no training wheels. The littlest one of my step-sister’s children ran around in her Cozy Coupe, trying to keep up with their others. 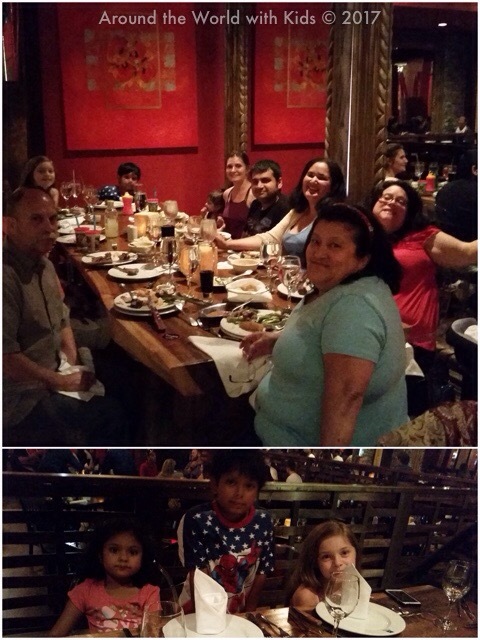 For dinner, we choose to all go out to Texas de Brazil, an all you can eat steakhouse, we’re meat is cooked in the Brazilian style and taken to your table so you can choose what you wish to have. It’s all you can eat, plus a salad bar for sides and salads. We were a large crew, and we made sure to eat our fair share. Between the bacon wrapped filet minion, the braised beef ribs, or the lamb I can’t pick a favorite. They were all tender and amazing. The kids loved the chicken sausage and bread. I had a fantastic class of Malbec to go with my meal, and the men had a delicious after dinner drink to wash it all down. 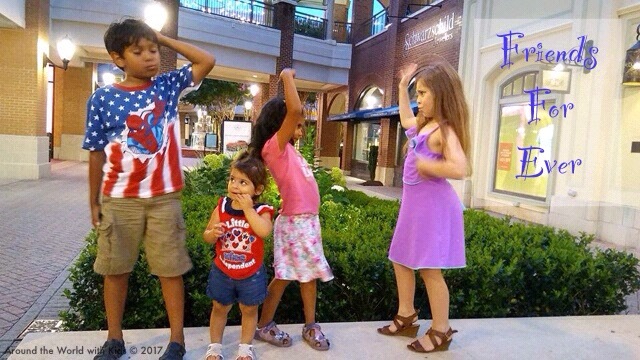 After rolling out of the restaurant we went home for an Independence Day tradition, fireworks! My step-sister had a selection of fireworks that were safe to set off in the street. She also had a selection of sparklers for the kids to enjoy. My two, as usual, got nervous by the noise and fire and went inside. The baby stayed in because she was still little, and fussy from sleeping most of dinner, now wanting food and attention. But the youngest of the walkers, she is the fearless one. 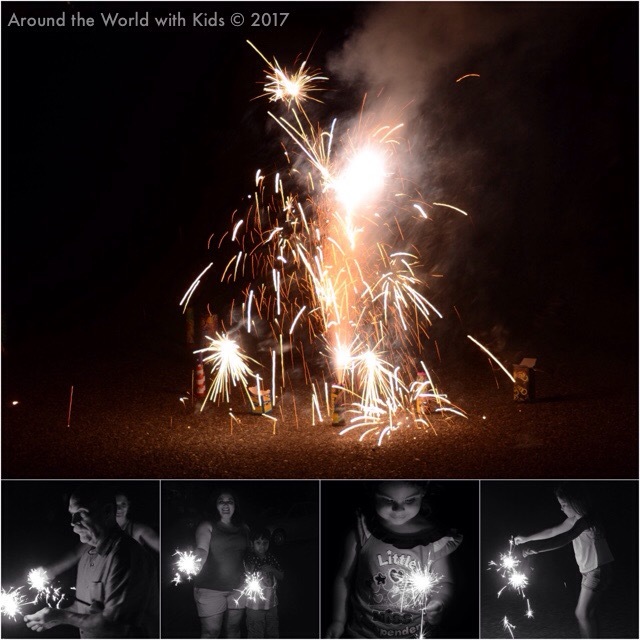 She was the one enjoying the sparklers the most, watching the fireworks, and enjoying herself right up with the older three. She’s got a spirit I love and I can see the strong women she will become. There is something wonderful about spending a holiday in a low key way with family. And it’s twice as nice when it’s family that you don’t see as often. We are a new family, we are still learning about each other. But we both have a strong belief in family love, and instantly feel that connection. I couldn’t think of a better way to celebrate the birthday of our nation then in this new place, with my new family, building on what makes this nation great.